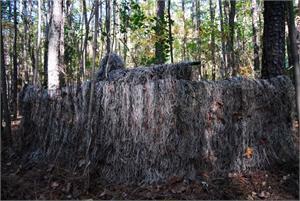 Complete Camouflage blind system Includes a Steel folding metal blind with carry bag, and a Ghillie Blind cover. The folding metal blind has four (4) sections that are hinged. You can form an arc to hide behind, or form a square and hide inside. Use it to wrap around the front of a tree as you lean againts the tree. When the frame is fully erected it measures 9' long, by 36" high. Plenty large enough for yourself, and a friend. Will fit both a Sniper and his Spotter. The ends of the frame have plastic pointed tips you insert into the ground to secure the unit. These should be inserted at least 4" into the ground. 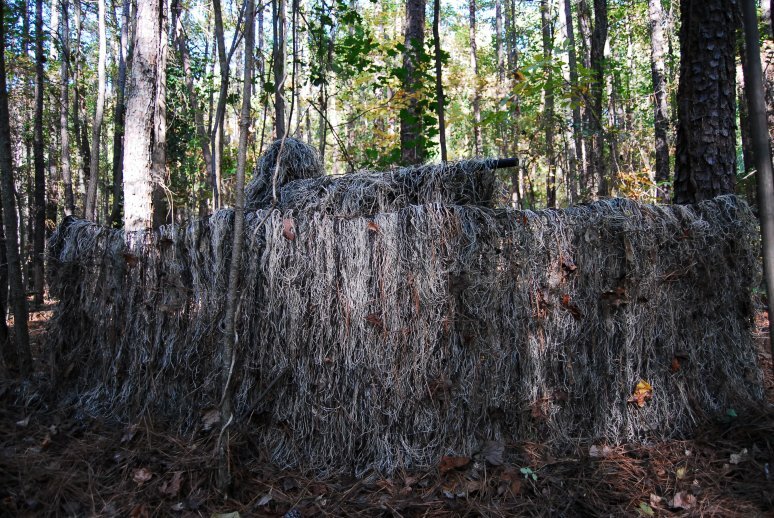 The included Ghillie Blind cover is built on a 1" x 1" Nylon netting. This allows the user to add local vegetation to the cover when out in the field. The included carry bag has an oversize handle so you can carry the entire unit over your shoulder. Both the frame and cover fit in the Bag! Frame is made from Steel to last a long time. Frame is powder coated OD green. At 9' long, you can conceal 3-4 people. 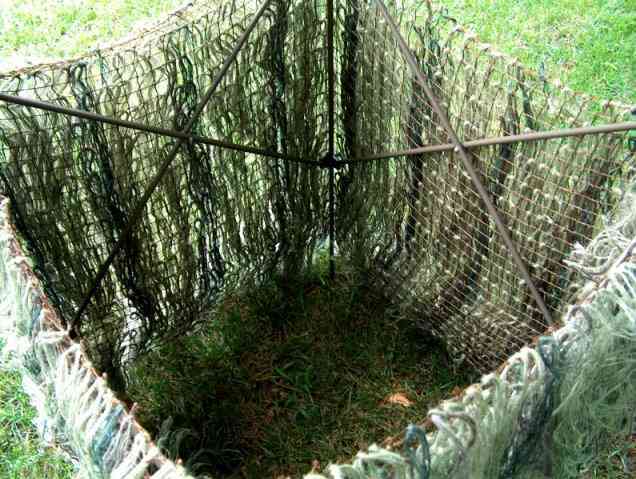 Both the Folding frame and Ghillie cover fit inside the Bag. Hinged frame has four sides to form an arc, or a box. 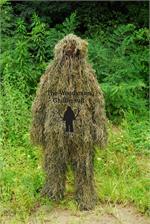 Ghillie Blind Cover is Ultra light Synthetic thread, weighs 1.75 pounds! Small Game Broadheads 3-pk "Varmint Broadhead"
Blood Hound Tested. Melt into the woods with GHOST. 4 color schemes to choose from. Synthetic thread attached to Netting (5" x 6') 1"x 1" Squares.